Guptkashi is located at distance of 47 kms from the sacred temple of Lord Shiva, Kedarnath at an elevation of 1,319 m above the sea level. This place is famous for Vishwanath Temple and Ardhnareshwar Temple, devoted to Lord Shiva. In addition, a deity of Lord Shiva along with the idol of half man and half women shaping Lord Shiva and her consort Parvati are installed in the temple. 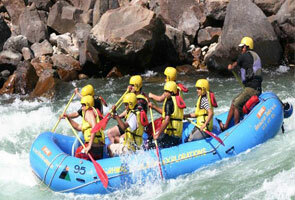 Travelers can see here Manikarnik Kund, which is said to be a meeting point of two streams, Ganga and Yamuna. 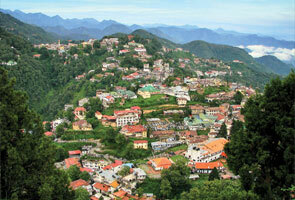 This small and beautiful pilgrimage town is located on the peak facing Ukhimath town. This shrine is surrounded with oak and coniferous forests, amazing landscape and also gives incredible view snowy mountain peaks of Mana Parbat, Nanda Devi, Chowkhamba, Beethartoli, Koment and Neel Kanth. 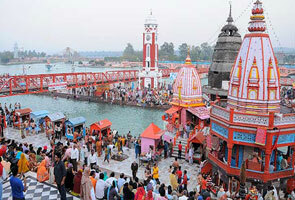 The meaning of Guptkashi is ‘Hidden Kashi’ and the place’s legendary history is related with the epic of Mahabharata. It is believed that after the war of Mahabharta, the Pandavas be penitent the killings of their own cousins Kauravas and came this place to take forgiveness from Lord Shiva. When Pandavas arrived at Lord Shiva; Shiva concealed himself here for some time in order to avoid them. Therefore the place named as Guptkashi. The tourist can also visit Chandra Shekara Mahadev Temple which is dedicated to Lord Shiva. 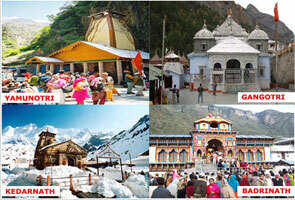 The temple holds a sacred Kund which is said to be filled by the waters of the river Yamunotri and Gangotri.